A photo of the all-female staff that coached one of the Nova Scotia teams that competed in the 16U national championships tournament held in the province in 2018. From left to right: Carly Jackson, Jill Stymest and Jenna Jackson. This is the fourth story in a five-part series called A Sport of Their Own. Next: Meet some female baseball movers and shakers. You can read Part 1 - Thousands of girls, women playing baseball in Canada here. You can read Part 2 - Talkin’ baseball: From sexism to career success here. You can read Part 3 - National women's team a world power here. The last two decades have seen more competitive opportunities for Canadian women and girls in more sports than ever. But females remain under-represented in sport and recreation as participants, coaches and leaders across all demographic categories according to the Working Group on Gender Equity in Sport, an initiative of Kirsty Duncan, Canada’s minister of science and sport. 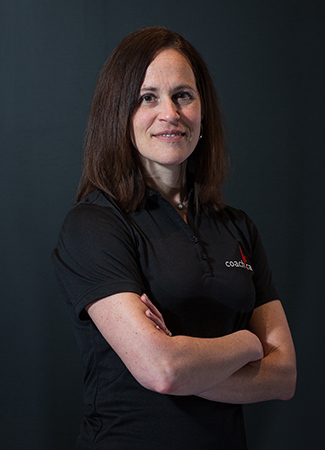 A coach mentorship guide for females produced by the Canadian Association for Advancement of Women and Sport and Physical Activity and the Coaching Association of Canada, states that 25 per cent of all coaches in Canadian sport are female. The number of Canadian girls playing baseball has far out-paced the number of women involved in the sport as coaches and umpires in the 20 years since the first national girls’ baseball championship (16U) was staged by Baseball Canada, the sport’s national governing body. Quebec, a hotbed of girls’ baseball in Canada with more than 3,400 female players registered in 2018, had 26 per cent female coaches according to a recent survey by the Canadian Baseball Network. The percentage was lower in other reporting provinces. “We believe that all athletes need to be coached by the best coach, male or female. But we expect to have at least one woman per coaching staff,” said Julie Gosselin, Baseball Quebec. “We didn’t have a lot of female coaches in the past and we are working on it because it is important for girls to see women around them. It does make a difference, although diversity is also key. We hope to create a movement of female players starting to coach and we have already seen the results. We presented a new rule to our members vote this year that each regional team would have at least one woman on the coaching staff,” she added. There are mixed views in the baseball community about whether male or female coaches are best suited for female players. Gary Elliott, co-ordinator, girls’ baseball development and training, Royal York Baseball Association in west end Toronto, says many girls prefer women coaches and sees “leadership by example” as a key benefit. “We are trying to develop women coaches. We offered a girls-only coaching module last year and 20 women attended. Two of our four select teams had female head coaches last season,” he said. LaPierre is also focusing on development of female coaches. “We have seen female coaching courses held across all the provinces. Baseball Canada and our committee offer to cover the cost of facilitators for anyone willing to host a clinic. We have also held all-female umpiring clinics,” she said. Baseball Nova Scotia started a mentorship program for female coaches last year. 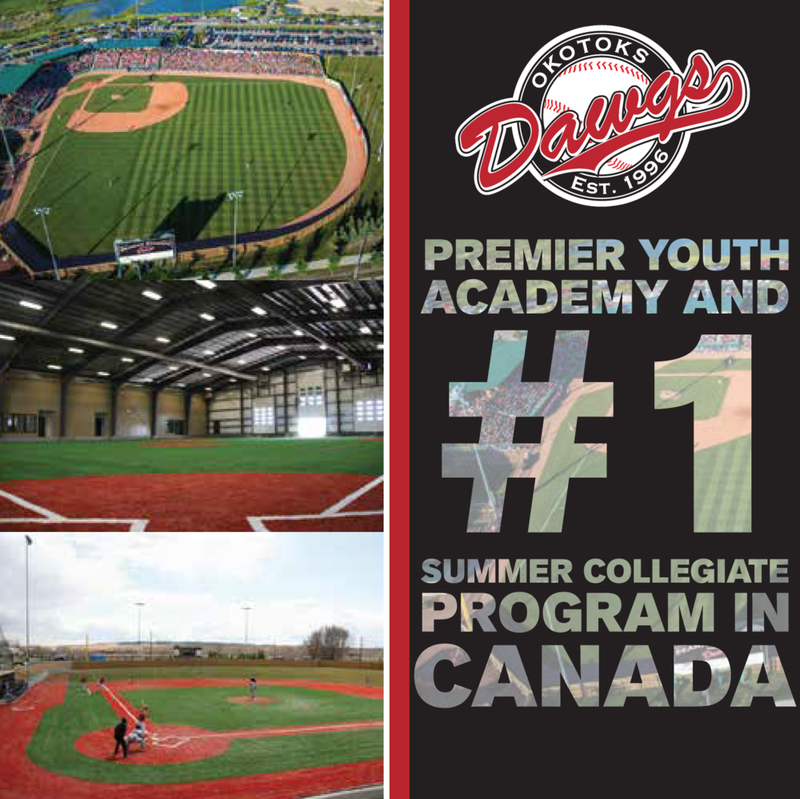 “As host of the 16U national championships last year we had two teams entered. One was coached by an entirely female staff, all three former provincial team athletes. An experienced provincial team coach was with them throughout the season to provide feedback and support during games and practices. 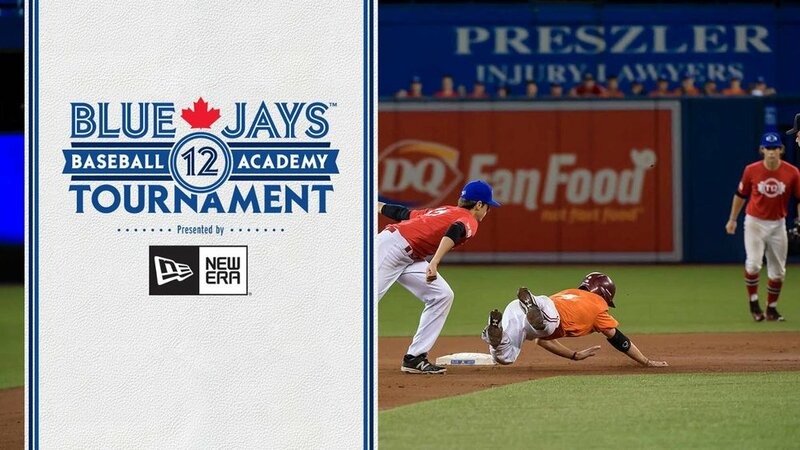 Based on the feedback from the female coaches and their athletes, it was a successful pilot and one we hope to continue,” said Brandon Guenette, Baseball Nova Scotia. Two of those 16U coaches also took on the role as head coaches for 14U girls’ teams that competed in the Atlantic championships last season in Newfoundland. They were accompanied by experienced assistant coaches and had full responsibility as head coaches throughout the tournament. Isabelle Cayer (above) is the manager of diversity and inclusion for the Coaching Association of Canada (CAC). All of this is good news for Isabelle Cayer, manager of diversity and inclusion, Coaching Association of Canada (CAC). “Coaches can have a huge impact on a child’s life. So, it is important for girls to be coached by women who they can see as leaders. But ideally, coaches are both men and women so girls can see different styles,” Cayer said. “One of the best steps to increase the number of female coaches at the grassroots level is simply to ask them to coach. Then, look to transition female athletes from playing to coaching, but this can be difficult if girls leave a sport in their early teen years, often not to return. And a mentorship program that encourages, recruits and trains female coaches is also key. Lisa Turbitt is shown here presenting at an umpire's clinic for the Toronto Girls Baseball League. Ontario’s Lisa Turbitt is the first woman to be named to the Umpiring Commission, World Baseball Softball Confederation, the global governing body of the two sports. She is also a master course conductor in Baseball Canada’s umpire training program. She has umpired 16 national and international tournaments. Umpiring, she says, offers learning opportunities just as coaching does. “There are leadership opportunities, which we know is not always the case for girls and women in sport. Plus, communication skills, which are not only key for an official but also connect to future jobs. These are just a few of the benefits of umpiring,” she said. In Ontario there were approximately 4,500 amateur umpires registered last season. More than 200 were females, Turbitt said. Julia Band Orange (left) and mother Jennifer Orange form a mother/daughter umpiring duo. 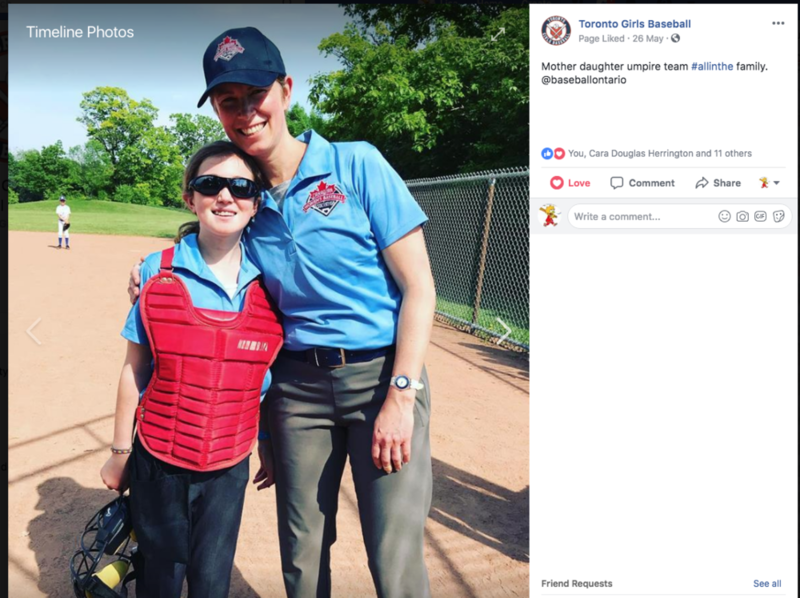 Jennifer Orange of the Toronto Girls Baseball League not only volunteered to learn umpiring, she did it with her 13-year-old daughter Julia Band Orange, creating a mother-daughter umpiring tandem. “For me, it’s fun and an opportunity to learn baseball from a different perspective,” said Orange, a former competitive fast pitch softball player. 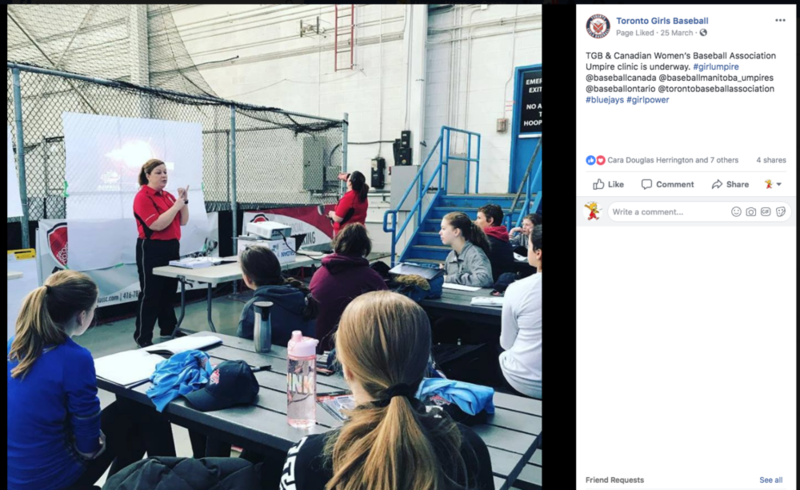 Toronto Girls Baseball, part of Canadian Girls Baseball launched by Toronto’s Dana Bookman in 2016, pays not only umpires, but female instructors, many of whom are competitive players at the provincial or national levels. Randy Byrne, Baseball PEI, says paying coaches would be “disastrous” in his province. “There would be strong opposition to that here,” he said. But Byrne added his association does pay a special instructor to run winter initiatives and fall baseball camps. More girls are playing baseball in Canada. More female coaches would enhance their experience and create more balance with male coaches, experts say. Provincial baseball associations have taken notice and have launched a variety of initiatives to encourage more female baseball coaches. “We have many female baseball volunteers, but it does bother me that we don’t have more female coaches, especially at the younger ages when girls are starting out,” said Holly LaPierre of Baseball Canada’s Girls Committee. Next in the A Sport of Their Own series: Meet some female baseball movers and shakers. Updated message from Bob Elliott - "Thank you"